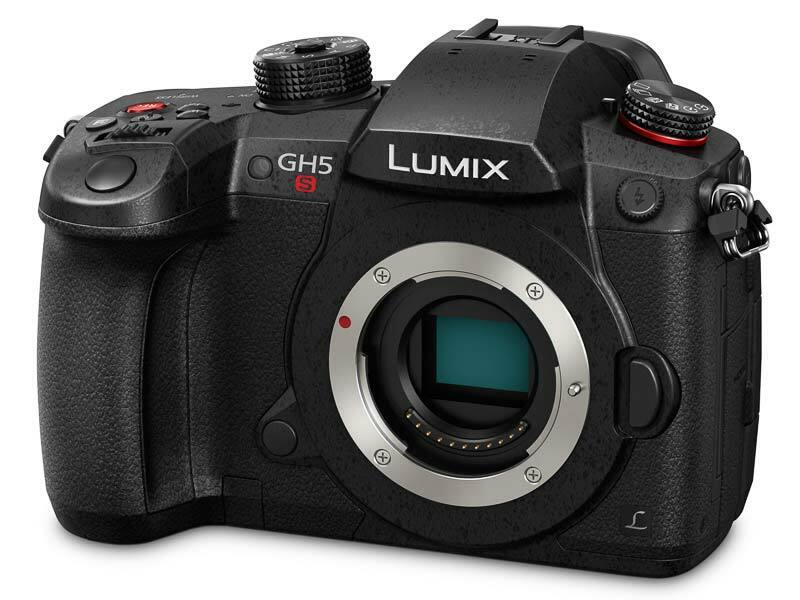 The Panasonic LUMIX GH5S is a new compact system camera designed and developed for professional filmmakers. 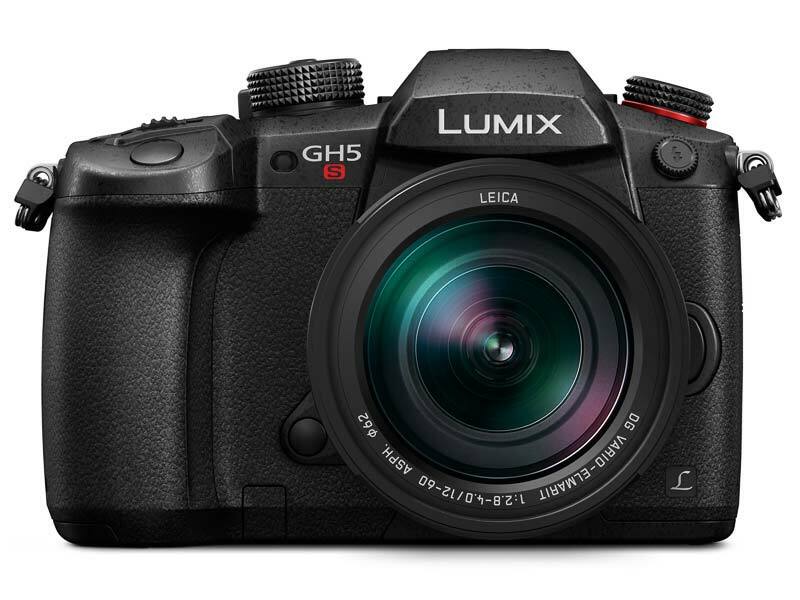 The GH5S achieves the highest-ever sensitivity and video image quality in the history of LUMIX cameras thanks to a new 10.2-megapixel Digital Live MOS Sensor, Venus Engine and Dual Native ISO Technology. 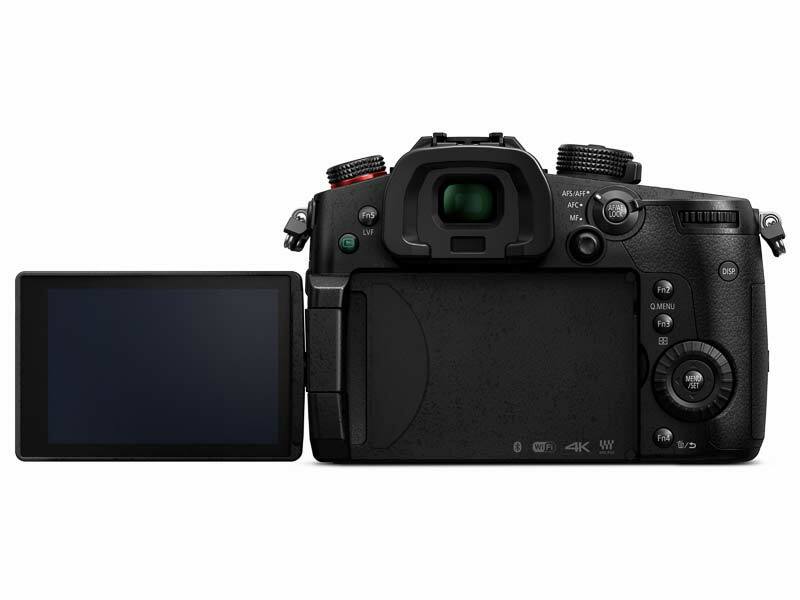 The GH5S is the world’s first mirrorless camera to offer 4K 60p / 50p video recording in Cinema 4K (4096x2160), features internal 4:2:2 10-bit recording, and ships with V-Log pre-installed on the camera. 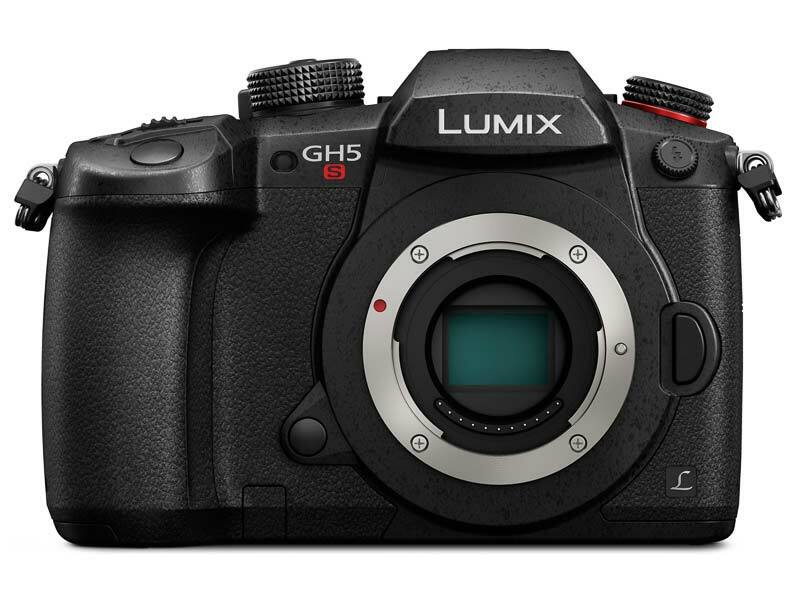 The Panasonic LUMIX GH5S will be available from end of January 2018 and will retail for £2199 / €2549.99 / $2499 (body only). The new 10.2-megapixel Digital Live MOS Sensor and Venus Engine reproduce the darkest areas of the image with increased clarity thanks to the maximum ISO 51200. When shooting in dark environments, videographers can now focus on capturing the perfect shot without worrying about background noise thanks to the newly applied Dual Native ISO Technology. 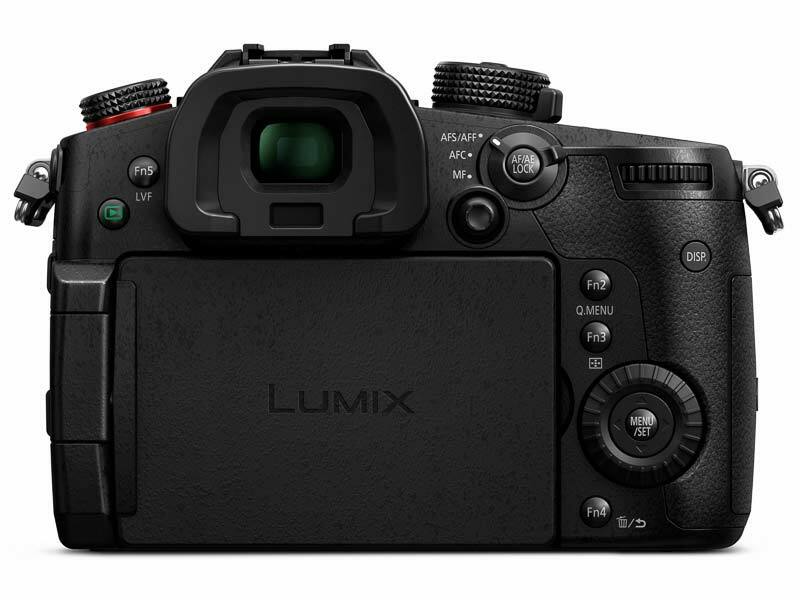 The LUMIX GH5S is compatible with Timecode IN/OUT which is easy to set using the flash sync terminal and bundled coaxial cable for a BNC terminal. The camera can be used as a Timecode generator for other GH5S models and professional camcorders and the functionality makes multi-camera productions pain-free by instantly synchronizing recordings to other cameras or audio devices. Both videographers and photographers can now enjoy the same diagonal field of view across all aspect ratios with the True “Multi-Aspect Ratio” function. The newly developed multi-aspect sensor provides sufficient margin to get the same angle of view in 4:3, 17:9, 16:9 and 3:2 aspect ratios. This feature means you can easily switch between different aspect ratios making the process easier while producing and editing in post-production. The GH5S now also provides the photographer with 14-bit RAW recording, providing greater flexibility within professional RAW development workflows. The LUMIX GH5 was the world’s first mirrorless camera to achieve 4K 60p / 50p video recording1 and the new LUMIX GH5S again establishes a milestone by realising the world’s first 4K 60p / 50p video recording in Cinema 4K (4096x2160).2 The GH5S is capable of internal 4:2:2 10-bit recording3 for even stronger colour reproduction, while V-Log comes pre-installed on the camera. There is no time limit4 for both Full-HD and 4K video recording and the LUMIX GH5S complies with 4K HDR video with Hybrid Log Gamma (HLG) mode in Photo Style. A low-bit-rate recording mode 4K HEVC for HLG is available, which enables playback on AV equipment compatible with the HEVC compression format, such as Panasonic 4K HDR TVs. The LUMIX GH5S also records 4:2:2 10-bit 400-Mbps All-Intra in 4K 30p/25p/24p and C4K 24p and 200-Mbps All-Intra in Full-HD. The VFR lets users record overcranked / undercranked video in C4K/4K (60 fps, maximum 2.5x slower in 24p) and FHD (240 fps5, maximum 10x slower). DFD (Depth From Defocus) technology and ultra-high-speed digital signal processing achieve fast auto focusing of approximately 0.07 sec6 and 12 (AFS) 7 / 8 (AFC) fps in 12-bit RAW and 11 (AFS) / 7 (AFC) fps in 14-bit RAW high-speed burst shooting. The 4K PHOTO mode enables 60 fps high-speed capture in approximately 8-megapixel equivalent resolution. As a camera that excels at shooting in low light, the LUMIX GH5S boasts -5EV luminance detection performance with Low Light AF thanks to the increased sensitivity and optimised tuning of the sensor. Live View Boost is another practical feature that makes it possible to check the composition - even in total darkness - by boosting the sensitivity just for Live View. The magnification ratio in MF assist is increased from conventional 10x to 20x, which is convenient for astronomical photography. For night mode the red interface provides mild backlighting, letting users see the subject comfortably in dark surroundings. In order to make the GH5S tough enough to withstand even heavy field use, it is composed of a magnesium alloy full die-cast front/rear frame and is not only splashproof8 and dustproof but also freezeproof down to -10 degrees. The GH5S is equipped with a dual SD memory card slot, compatible with the high-speed, high-capacity UHS-II and Video Speed Class 60. Users can flexibly choose the recording method from Relay Recording, Backup Recording or Allocation Recording. The HDMI Type A terminal is provided. The GH5S has a large LVF (Live View Finder) with a stunningly high magnification ratio of approximately 1.52x/0.76x (35mm camera equivalent) providing smooth display at 120 fps. A high-precision, high-speed OLED display features 3,680K-dot resolution and 100% field of view. In addition to dual dials, an omni-directional joystick enables more intuitive and flexible operation. The model includes Bluetooth and Wi-Fi® connectivity to offer a more flexible shooting experience and instant image sharing with easy operation. Compatibility with Bluetooth 4.2 (called BLE: Bluetooth Low Energy) enables constant connection with a smartphone/tablet with minimum power consumption. For Wi-Fi, 5 GHz (IEEE802.11ac)9 can be selected in addition to the conventional 2.4 GHz (IEEE 802.11b/g/n) for an even more secure and stable connection. 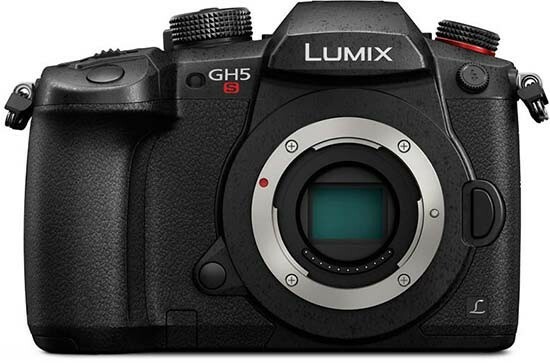 The Panasonic LUMIX GH5S will be available from end of January 2018 and will retail for £2199 / €2549.99 (body only). For the latest news and information, follow @LumixUK on Twitter, Facebook & Instagram. *2 As of January 8, 2018 as a Digital Single Lens Mirrorless camera that complies with Cinema 4K (C4K:4096x2160) resolution defined by Digital Cinema Initiatives(DCI). According to a Panasonic study. *3 4:2:0 8-bit in C4K 60p/50p and 4K 60p/50p recording on an SD Memory Card. *4Until the SD Memory Card becomes full or the battery runs out. *5The angle of view narrows if you select a frame rate with a number of frames 240 or more. 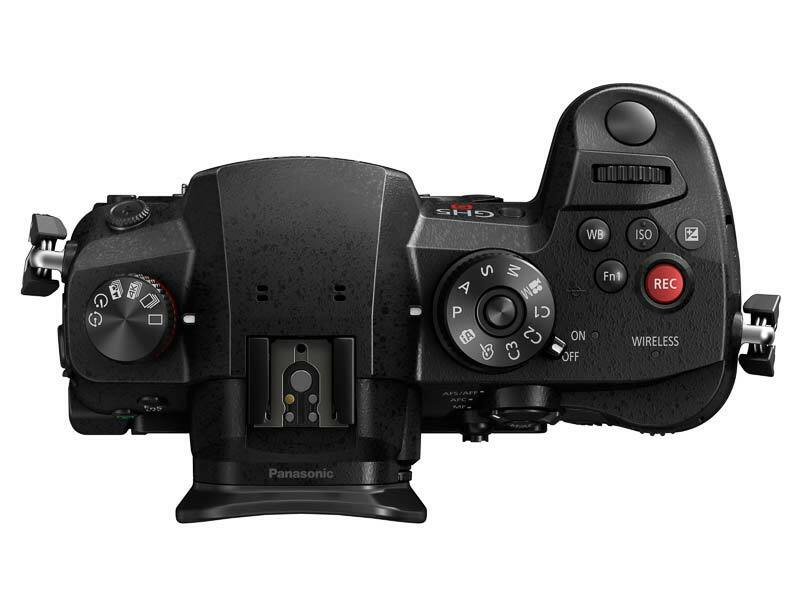 *6 Contrast AF with DFD Technology works only with Panasonic Micro Four Thirds lenses. *7 In AFS, at wide-end with H-ES12060 (CIPA) when LVF display speed is set to 120fps. *8 Splash Proof is a term used to describe an extra level of protection this camera offers against exposure to a minimal amount of moisture, water or dust. Splash Proof does not guarantee that damage will not occur if this camera is subjected to direct contact with water. *9 5GHz Wi-Fi is not available in some countries. For [C4K/4K 60p][C4K/4K 50p] video output, use an HDMI 2.0 cable that has the HDMI logo on it, and that is described as"4K compatible".